Each year as fall progresses we know that the end of the beloved weekend SOWA Art Market is near. This outdoor market, is only a short walk from our Boston Bed and Breakfast and is the only boutique hotel in Boston within reasonable walking distance from the treasures on Harrison Avenue. However, the silver lining, to this cloud, is the SOWA Holiday Market. 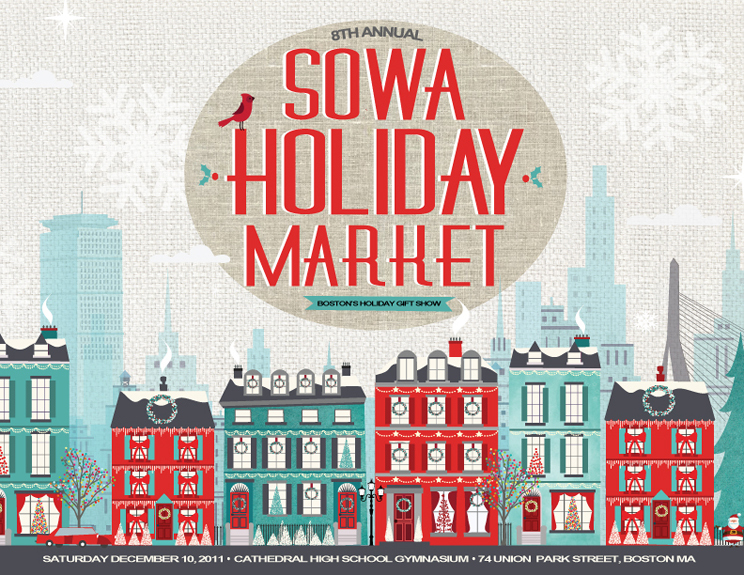 The 8th Annual SoWa Holiday Market in Boston takes place Saturday, December 10, 2011, from 11AM to 7PM, an entire 8 hours to shop & become inspired by the treasures of this market. The Holiday Market will be held at the Cathedral High School, located at 74 Union Park Street, just around the corner from Clarendon Square Boston bed and breakfast. Mark your Calendars, is this is only a one day event, and you will not want to miss it! 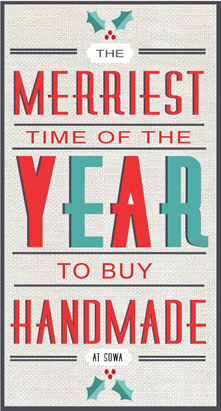 This year’s 2011 Holiday Market will feature over 80 veteran artists and designers from around Boston, Massachusetts and New England. Discover fashionably items or hip and cutting edge gifts. Every shopper is sure to find a one of a kind gift without missing anyone on the shopping list. If handbags, jewelry, home decor, unique t-shirts, baby clothes, are on your list, you will be pleased with the selection and variety! Letterpress stationery, is a always a great personal touch for the holidays, and if you are not buying it for someone else, it can be useful to send out last minute holiday invites, greetings or even thank yous. After the holiday market, drop your bags at our bed and breakfast and treat yourself to a relaxing lunch. Stephi’s on Tremont is an obvious choice and is always offers the best brunch or lunch in Boston. Staying at Clarendon Square Boston Bed and Breakfast, is the perfect way to tie your experience together. Our central location is at the intersection of all the action, but of course on our quaint side street. 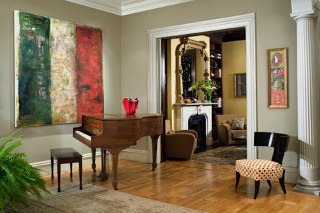 We a short walk to the Copley Place Mall and the Prudential Center. That means Newbury Street is just as close. In the other direction you have all the great Boston shopping and boutique in the South End, also close the SOWA Holiday Market. Convenience at the Holidays is essential and so is a little pampering too, right? This entry was posted in Uncategorized and tagged boston, boston bed and breakfast, boston boutique hotel, boston shopping, holiday shopping boston, south end, sowa market by admin. Bookmark the permalink.